A sure sign of growth, hiring new employees is always an exciting time for a business. But with growth comes great responsibility, since employees are a vital part of what the business represents. For small businesses, it’s one thing to be able to hire and another beast altogether to retain the hired talent. Here are three ways to nurture and keep your staff happy. From seeing the big picture to finding the right fit, hiring professionals do more than filter résumés. Often, they provide a much-needed outside-looking-in perspective for the business. One of the most common mistakes Noelle Johnson, founder of My Interview Buddy, has seen when business owners conduct the hiring themselves is the likelihood they’ll hire their twin, instead of who the business needs. Then they’ll expect their new hire to act and react identically to themselves. Needless to say, this ends in disappointment for both the employer and the new employee. Hiring is an expensive process even when done right. In a survey by The Society of Human Resources Management (SHRM) of more than 2,000 HR professionals, the average time to fill a position was 36 days in 2016 while the average cost-per-hire peaked at $4,425. That was a $300 increase from the previous year. Time and money are resources small businesses cannot afford to waste. So invest in the help you need today to spare yourself the headaches of tomorrow and beyond. By no means are we trivializing skills. In a perfect world, you’d hire someone whose character is as great as their skills. But since we don’t live in a perfect world, we’ll have to choose. “No brilliant jerks” is how our segment leader, Matt Rissell, summarizes the hiring policy at TSheets. The right character will grow your business. The right skill often only grows itself. History has repeatedly shown us how one unscrupulous employee can be all it takes to change an organization’s culture and bring a giant to its knees. There is a reason why Warren Buffet famously said that when he looks to hire, integrity is the most important trait. Without it, intelligence and energy will die. As amoral machines take over more functions at work, it seems apt that the right human touches are now more important than ever for businesses to stand out. Montañez took the message to heart. When he chanced upon a batch of unflavored Cheetos at the plant, he took it home, experimented, and called Enrico to pitch a new flavor idea. Enrico took his call and stuck to his words. Thus, the beloved Flamin’ Hot Cheetos was born. Montañez has since been promoted from his old role. By sharing your dreams and goals with your employees, you empower them to grow in ways you can only imagine. When it comes to his employees, legendary leader Brad Smith, the executive board chairman of Intuit, stands steadfastly by this variation of the African proverb: If you want to go fast, go alone. If you want to go far, go together. 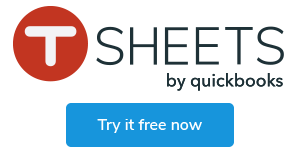 On Wednesday, February 6, TSheets and QuickBooks will team up to present the free webinar “How to Retain Small Business Talent.” Join Rick Jensen, Intuit’s Senior Vice President of Human Resources, and other leading experts for an essential overview of everything you need to know about managing and retaining small business employees.